The image above is from a new page we created to help people learn about the planets in Spanish. 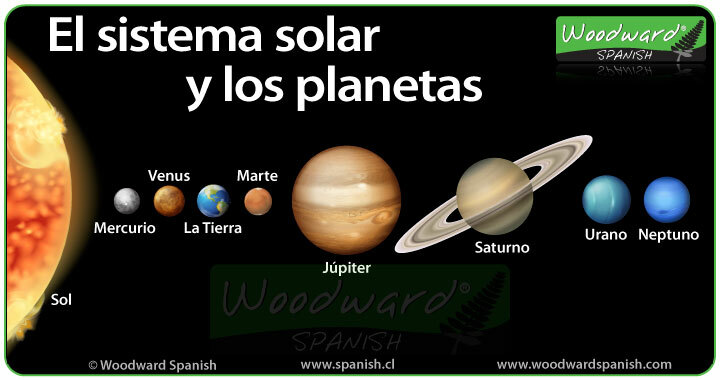 Spanish Vocabulary: El sistema solar y los planetas – Here we have included facts about each planet in our solar system (and the sun). Random fact: Did you know that Venus is the hottest planet in our solar system even though Mercury is closer to the sun? Spanish Game: Juego de Los Planetas de nuestro sistema solar – This game has questions in Spanish based on the information and fun facts we published on our Spanish vocabulary page. Even though the word planeta ends in the letter A, it is considered masculine so we say EL planeta. The same is for the word sistema which ends in the letter A. It is considered masculine so we say EL sistema.